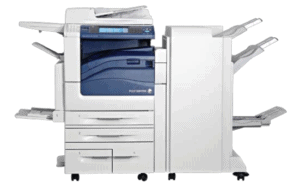 A1 Copiers is a specialist in Photocopier and Printer Sales, Service and Supplies. With 33 year’s industry experience, and thousands of satisfied customers, A1 Copiers knows the importance of providing a High Quality products whilst being timely, courteous and reliable. Always friendly and helpful we are here to help you walk through the myriad of options out there. Our advice is free, and you can be confident you are in good hands given our outstanding sales and service history. Call now on 1300212674 regarding advice on the purchase of a Late Model / Ex Lease Photocopier – Printer – Scanner – Fax machine. We are committed to making sure that, you as “the customer” have your office Copier and Printer needs met correctly, cost effectively and in a courteous and timely manner. Your new or late model photocopier will come with our a standard “on site all inclusive service agreement”, backed by our “same day” response for breakdown and service calls! Talk to us now, and we can also explain how our ‘standard 12-month replacement warranty” works on all used copiers and printers.